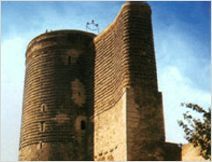 Azerbaijan is one of the oldest spots of civilization, a country with a rich and ancient history. A rich cultural heritage has been created on its territory over the span of many millenniums, contributing to the treasure house of World culture. 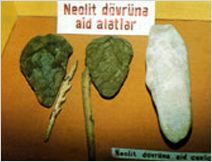 The discovery of Azykh cave, the earliest habitation of man to be found in the world, and a number of habitations of the ancient Stone Age prove that Azerbaijan enters the zone of anthropoids to reveal the birthplace of mankind. 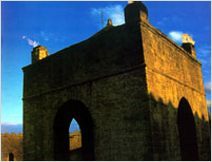 The main traces of civilization are viewed in Azerbaijan. In the 3rd millennium B.C. 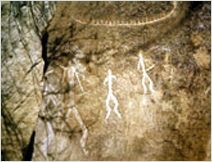 the process of tribe formation was going on here and by the 1st millennium B.C. the first political formations had emerged. Azerbaijan State system was being formed in the 9th century B.C. : Manna state with high economic and cultural level had emerged. The pantheons of divinities were created. Manna believed in natural phenomena; the Sun, the Moon, the first part of the 6th century B.C. Manna was conquered by Media. The official religion was Zoroastrianism, the spread of which was connected with self-kindled resources of oil and gas. A great part was played by the Atropatena and Caucasian Albania in the process of the formation of separate state structure on the territory of Azerbaijan in antiquity. The name of the country is connected with the name of the Atropatena ruler - Atropat which was later transformed into Azerbaijan. It is in Atropatena that the process of formation of Azerbaijan nationality began. In the 3rd-5th centuries the Azerbaijan state system was strengthening. 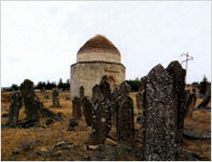 Christianity was penetrating into Azerbaijan. 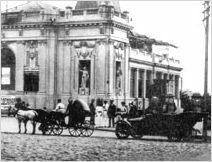 In Transcaucasus such one of the first apostolic Christian churches appeared spiritual and secular life was progressing. 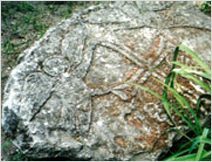 At the beginning of the 5th century the Albanic alphabet was introduced and promoted the development of education. 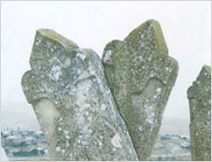 The unique monuments of culture and literature, architectural traditions of that period have been preserved to the present. Azerbaijan was conquered by Arabs at the beginning of the 8th century and made part of the Arab Khalifat as the vilayet Arran. 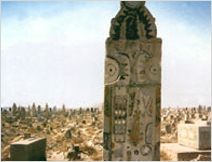 Islam became the leading religion in Azerbaijan, creating new traditions and culture. 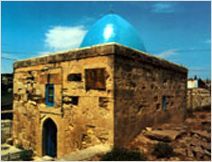 Azerbaijanis, like all other nations that accepted Islam, were called "Moslems" and participated in the development of Moslem culture. Azerbaijan enriched the world culture, gave the world a brilliant gallery of scientists, poets and architects. In the medieval centuries there was a succession of states: Gara-goyunly, Ag-goyunly, Sefevids states were in power in a successive way. Azerbaijani people distinguish among other peoples with its specific image in the world culture. Cultural and literary specimen of this people created for centuries are tanned with love of life, feelings of freedom and independence. Grand works of art of our people such as "Kitabi Dada-Gorgud", "Koroghly", coryphaeus who have left indelible traces in the history of world civilization such as Nizami Ganjavi, Afsalladdin Khagany, Khatib Tabrizy. Imadaddin Nasimy, Gatran Tabrizy. Mouhammad Fouzuly whose creative activities were devoted to praising world ideas of truth and justice, served to establish human ideals. 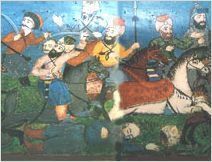 Art lovers are still admired by the works of Safiyaddin Ourmavy, Ajamy Nakhchivany, Sultan Mouhammad Tabrizy who gave pearls to the treasure of world culture. Our people have full right to be proud of the contribution given to world science. The names of our thinkers Nasraddin Tuisy, Aboul-hassan Bahmanyar, Mirza Fataly Akhundov, Abasgouly Aga Bakikhanov and others are well known to world science. Heroism of such popular leaders as Javanshir and Baback has been turned into a school of patriotism, embodiment of courage and unification of people. Life and activity of Mouhammad Jahan Pahlavan, Gyzil Arslan, Ouzun Hassan, Shah Ismail Khatai and other statesmen developed love of Motherland and statehood in people, and have been turned to one of the major goals of our life. A rivalry between states to involve Azerbaijan into the sphere of their interests resulted in striking inner destabilization in 18th century. A number of independent state formations - Khanates appeared. The 20th century entered the history of the Azerbaijan people as the period of radical changes in socio-economic, political and cultural life. A range of upstream and downstream industrial branches were intensively developing in Azerbaijan. 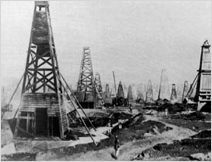 Baku turned into the world center of oil extraction and refinery yielding more than half of the world's and 95% of Russia's oil extraction totals. The cultural life enlivened. Various branches of science were developing, newspapers and magazines started to be published. 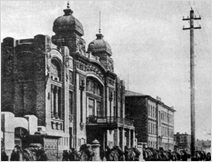 Formation of political societies, organizations and parties for dissemination of progressive, democratic ideas contributed to the process of becoming and developing a national identity and fueled the growth of the liberation movement of the February, 1917: The fall of the tsarist monarchy in Russia created favorable conditions for the development of national movements in its border lands. 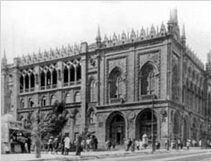 May 28, 1918: Azerbaijan rehabilitated its state struc-ture - the Independent Azerbaijan Republic was established. Having existed for 23 months, it collapsed. 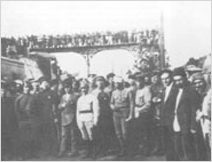 Troops of the 11th Red Army came to Baku. In December, 1922 Azerbaijan became a part of the USSR and a socialist republic was formed with the attributes of state - Constitution, flag, national anthem, state emblem. In 1991 state independence of Azerbaijan was restored, the Constitutional Act of State Independence was adopted. Establishment of the independent Republic of Azerbaijan is an important historical event of our life. It is true that the way to independence was not easy for us and we have undergone severe tests. As a result of military aggression of Armenia against Azerbaijan, occupation of 20% of our territory by Armenian invaders more than one million of our citizens were obliged to leave their native homes and turned into refugees and displaced people. Sabotage of internal and external forces against our statehood, disintegration of former economic relations, social and economic difficulties of the transition period and other problems have complicated our way to independence. Nevertheless our people did not lose confidence, will and determination in our independent statehood, but on the contrary, the belief of our people became more strengthened. As a result of purposeful policy achievements gained for recent years in the country are evident. The war with Armenia that has been going on since 1988, has already been stopped for more than nine years, we have achieved a cease-fire. We have put an end once and for all to the subversive activities of armed groups within the country, political disorder has been blocked up. I can firmly say that the Republic of Azerbaijan lives in full political stability now. And this creates firm foundation to implement radical changes in different spheres of the life of our country. The Republic of Azerbaijan as an independent country follows the way of democratic, law governed and secular state construction. Our society is being formed on the basis of democratic principles which have already been tested in the world practice and match our national peculiarities. The first Constitution was adopted through nationwide referendum. The Constitution ensures the independence of the State of Azerbaijan, its sovereignty, territorial integrity, the civil society in the scope of the main law. Based on the Clauses of the Constitution, principles of multi-party system and parliament through democratic elections has been established as well as laws were adopted to achieve the political pluralism and to develop the democratic principles for our society. The conditions to use and to extend the Azerbaijani language in all spheres as the State language were set up, and prospective were opened to mature it and to take its deserved place among the languages of the globe. Today, the right to freedom of thought, freedom of press and speech, protection of human rights constitute main and irreversible principles of our society. Our nation is setting up the life principles based on supremacy of law, taking care of its history, protecting and developing its national and moral values and we will follow the same target in future. Azerbaijan experiences the period of great economic changes and reforms. The transfer to market relations and integration to the world economic system constitute main trends of our policy. The macroeconomy has been stabilized in the country. The economic regress of late 80s has been overcome and the progress in some of the branches has become visibly achieved. The current economic reforms have had a qualitative new step. Fundamental changes are taking place in the economy. The market relations and entities are being formed to meet the requirements of new structure. Some branches of the industry, trade, transport, public utility services have been privatized, bank and fiscal systems, financial institutions have been reformed, the implementation of joint projects with major foreign state and private companies and the like are good examples of progress in Azerbaijan's economy. Oil agreements with the world leading companies, their further implementation, the early oil as produced and already exported to the Western markets have created foundation to ensure great changes in the economy. The agriculture has been reformed faster than any other field. 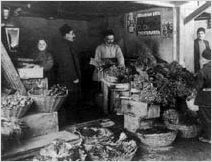 Radical reforms carried out therein, privatization of State property, the land handed over to the private sector, changes in the forms of ownership, the possibility for the farmer to be a man of property have given positive results and solved the problem of food shortage in Azerbaijan once and forever. The changes taken place in the economy and development we are experiencing now have allowed the government to increase the social welfare of the people and to attract greater investments for the science, culture and education. Azerbaijan is well known as an independent State worldwide and has a unique image. As soon as the independence has been achieved our country becomes a member of The United Nations Organization, The Organization for Security and Cooperation in Europe, The Islamic Conference Organization, The Commonwealth of Independent States, The Community of Turkic States, The Black Sea Economic Cooperation Organization, The International Monetary Fund, The World Bank for Reconstruction and Development, The Islamic Bank for Development and creates a mutually beneficial collaboration with Inter-Parliamentary Union, European Council, European Community, European Parliament, NATO and other international organizations. The Azerbaijani diplomacy has achieved important progress to ensure independence, security and territorial integrity including multilateral and mutually beneficial cooperation with all countries based on the principle of equality. Today the most sensitive problem of our country is the conflict between Armenia and Azerbaijan and fair call of Azerbaijan to settle the Nagorny-Karabakh problem is supported by the countries worldwide, international and regional organizations. We are convinced that this problem will be justly and peacefully solved very soon and territorial integrity of our country will be restored. We have declared once and again that the conflict between Armenia and Azerbaijan must be settled peacefully. We are against the war. We are in favor of peace. Our utmost desire is to establish peace in Azerbaijan, throughout the Caucasian region and worldwide. Azerbaijan as a peaceloving State is willing to live in peace in the atmosphere of mutually beneficial cooperation and understanding with all countries and nations, especially with its neighbors.